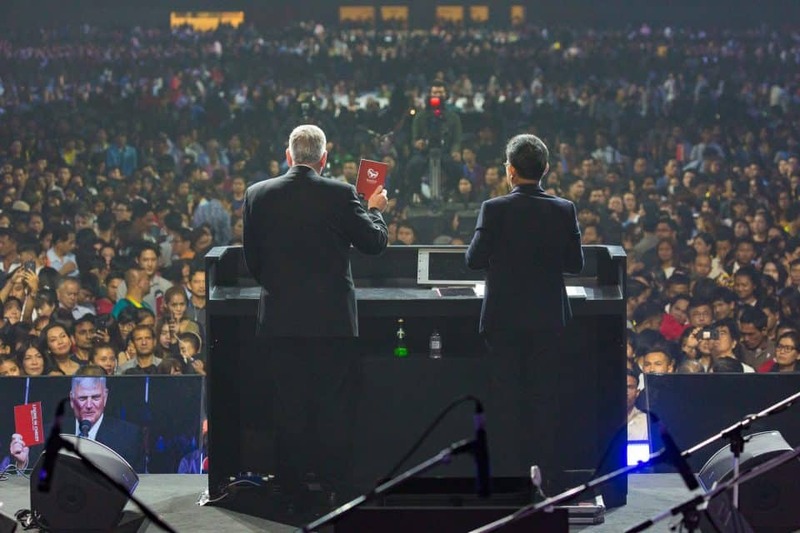 Of all those who attended the Festival in person and watched online, nearly 4,600 responded to the Gospel. 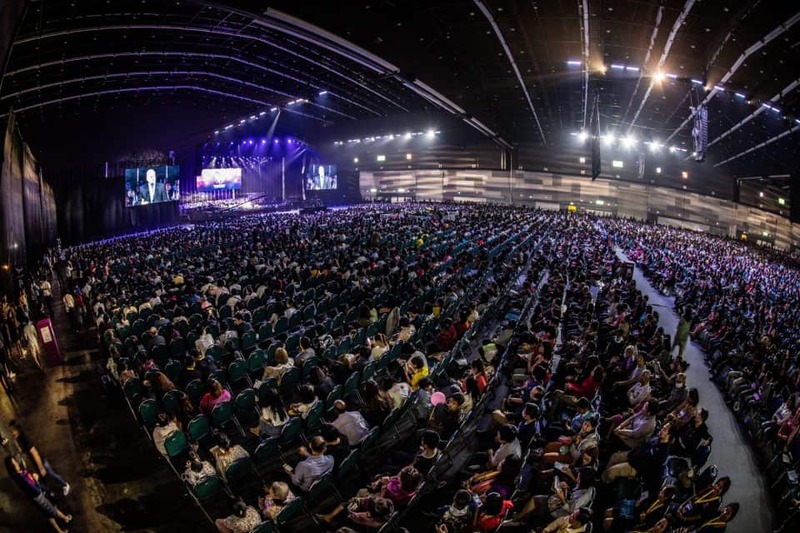 Over the two-day Amazing Love Festival, an estimated 42,000 people total came out to hear Franklin Graham in the Thailand capital of Bangkok. 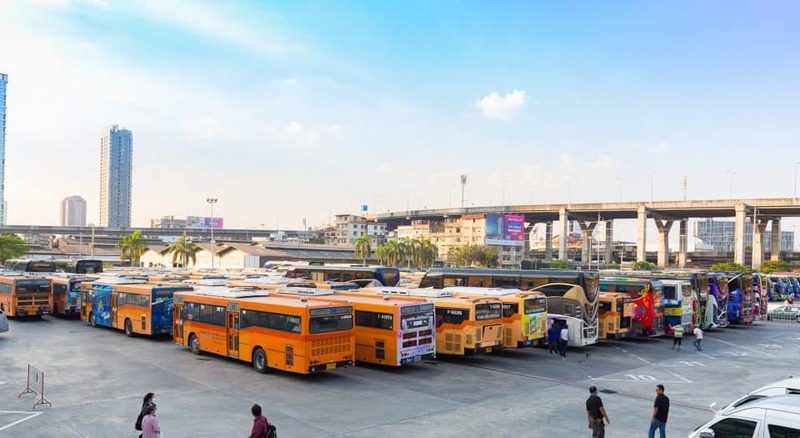 Hundreds came by bus while nearly 80,000 more watched online. Franklin Graham first visited Bangkok in 1975. 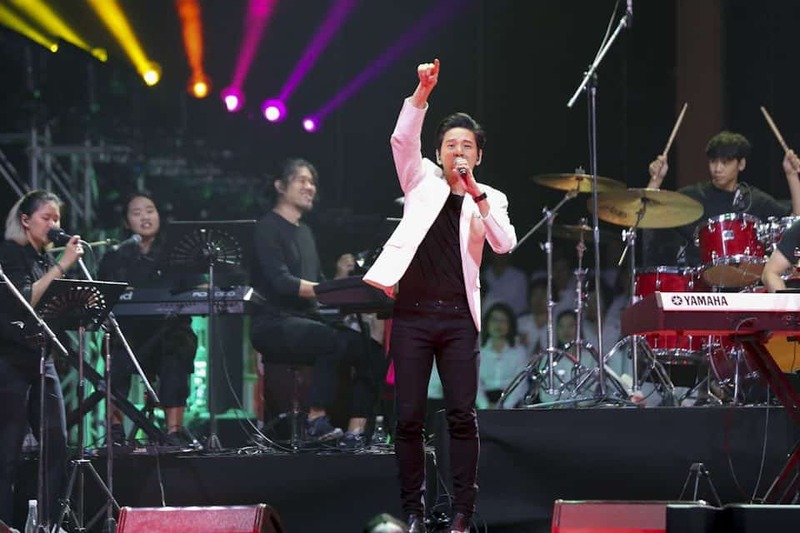 On Sunday, he complimented the hospitality of the Thai people and credited local churches and volunteers for playing such a big part in making the Festival happen. 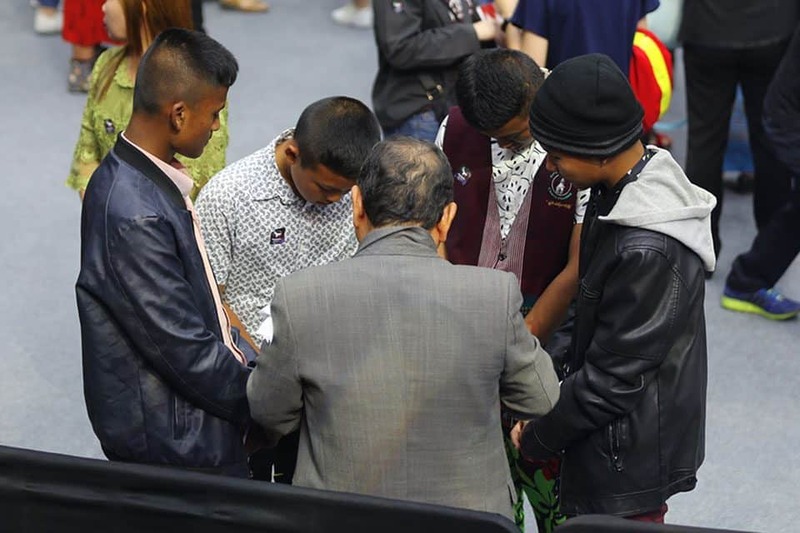 There were so many beautiful moments to end the long-awaited Festival as small groups huddled together to pray and talk more about faith in Jesus. 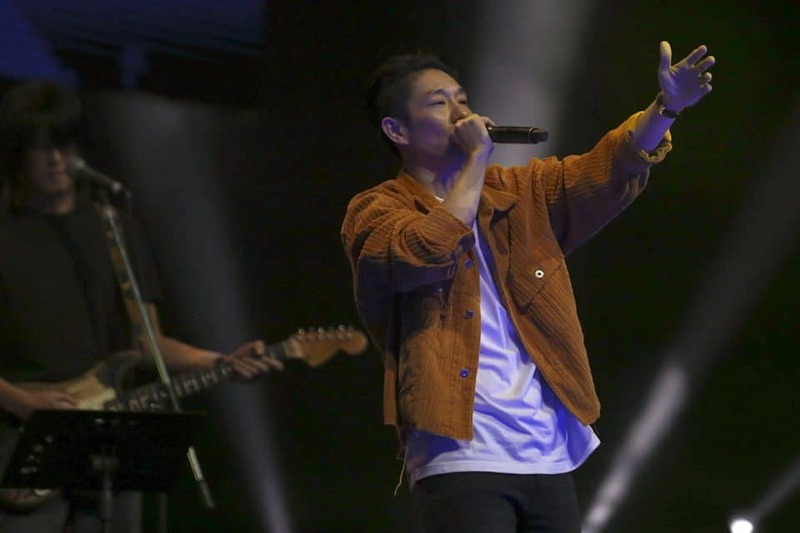 Max Jenmana was born in Bangkok, and on Sunday, stood center stage to lead other locals in worship. 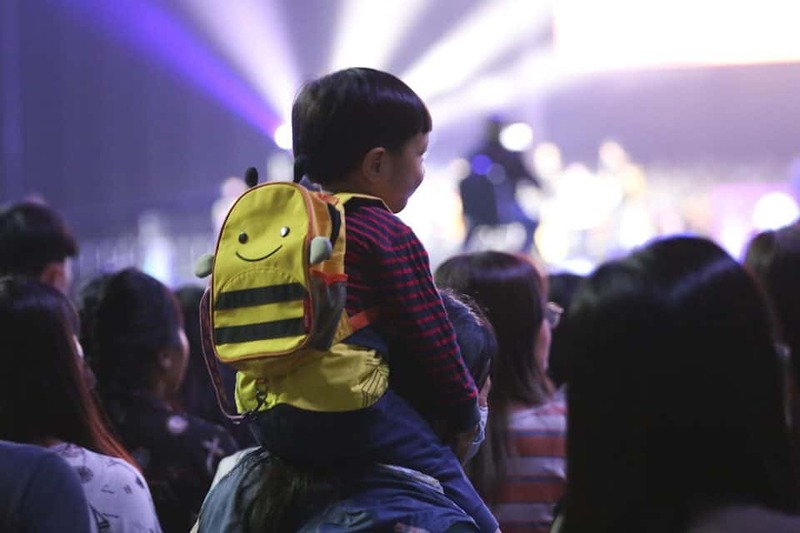 More than 23,000 people attended day two of the Amazing Love Festival, held at a huge trade and exhibition center called BITEC. Another 48,000 from 56 countries watched Sunday’s Festival online. Capturing the night on video. 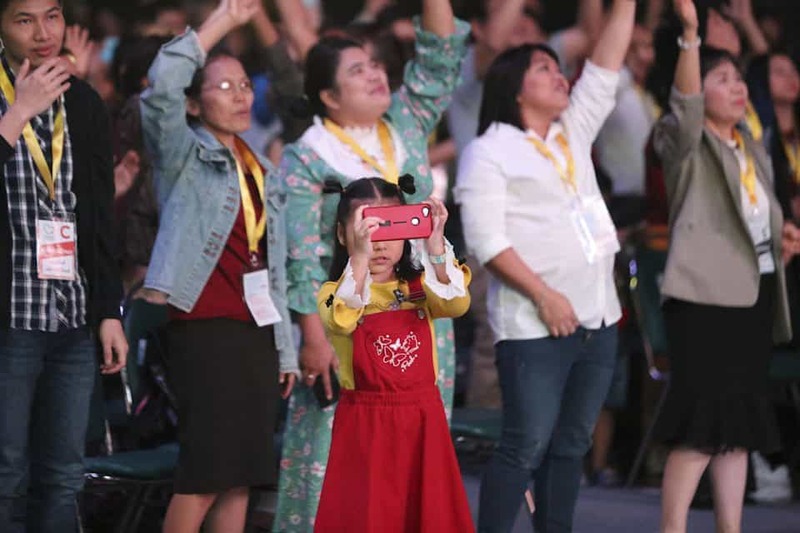 Of the hundreds who indicated decisions for Christ through the live stream, most were from Thailand, with others coming from Laos, Myanmar, South Korea, Malaysia and Taiwan. 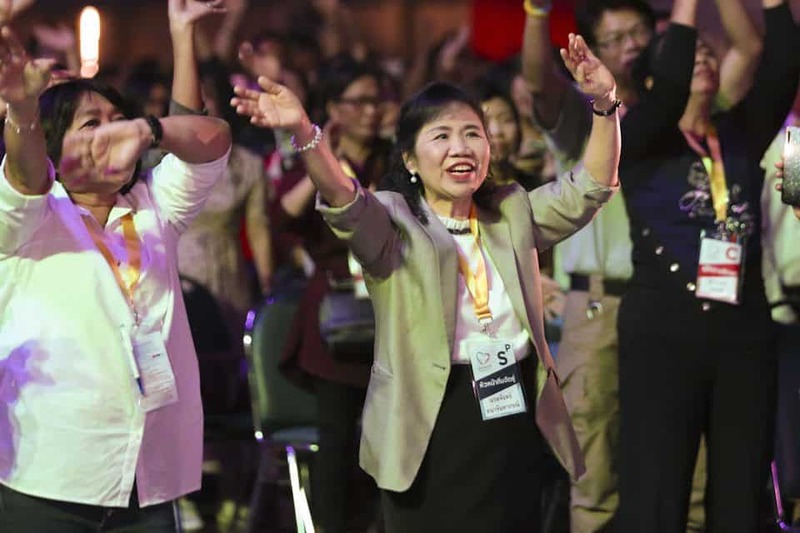 Thunderous applause welcomed PooH Anchalee, a popular singer from Thailand. She’s been a big supporter of the Festival and shared her own performance on Facebook Live. 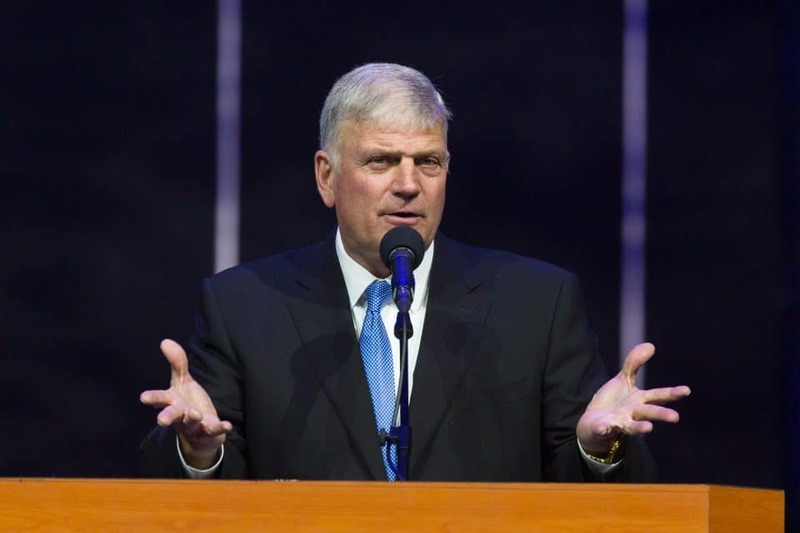 “We have enjoyed our time here very much,” Franklin Graham said of his team. 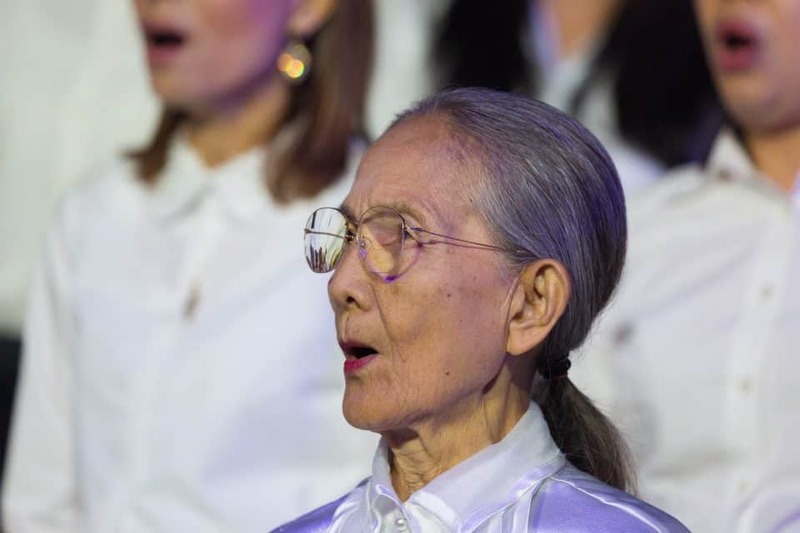 As he walked onstage, he turned toward the choir behind him, bowed—as is Thai custom—and clapped for their incredible voices. 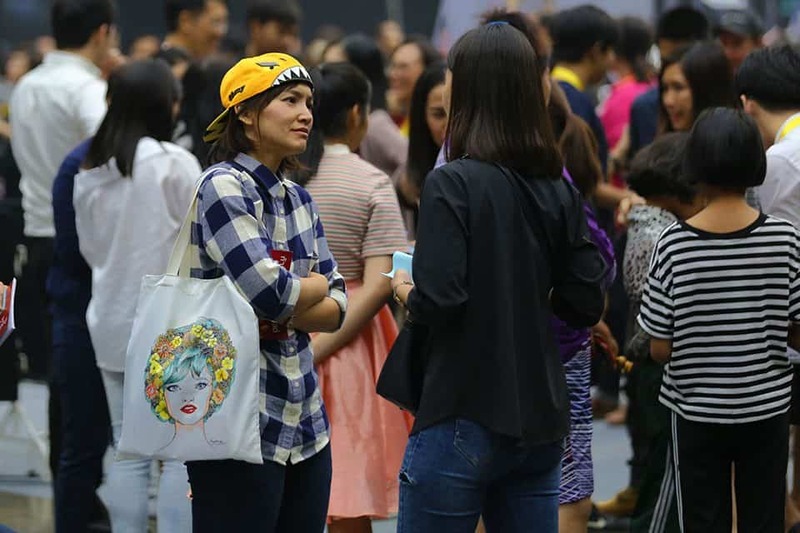 Thai people are typically reserved, but on Sunday night, many expressed themselves during a time of worship. “What are the obstacles preventing you from coming to Jesus?” Franklin asked. Later, some of those obstacles were broken down as people poured to the front. But Franklin reminded them that they weren’t coming to him; they were really coming to Christ. 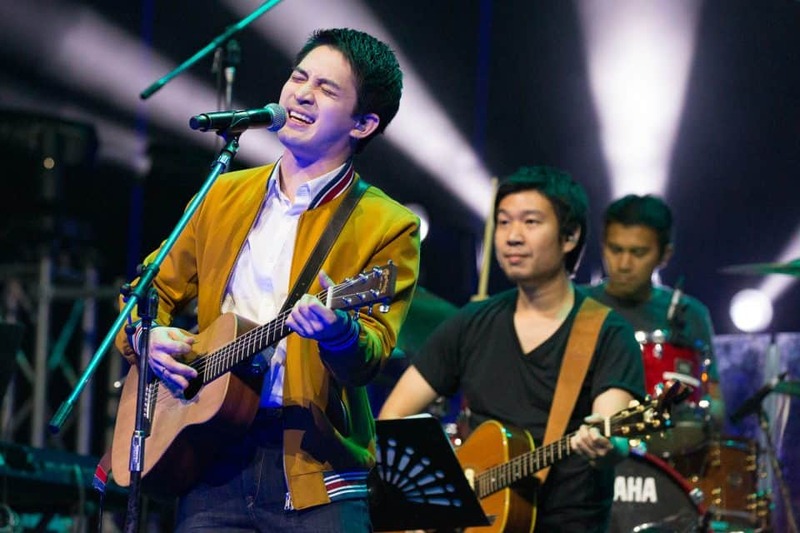 Sunday featured several Christian singers, including Boy Peacemaker, a pop artist from Bangkok. “Jesus can give you meaning and purpose in your life,” Franklin said. 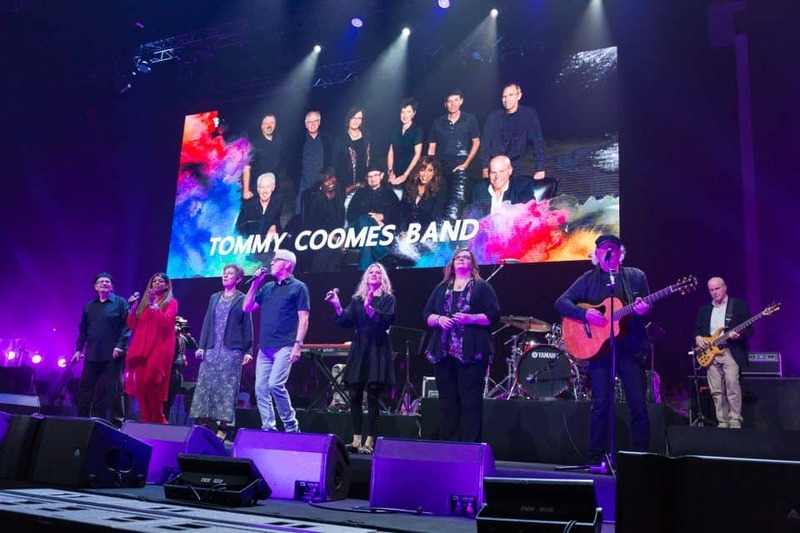 The Tommy Coomes Band is a staple at Franklin Graham Festivals, where they introduce the Gospel that’s about to be preached. 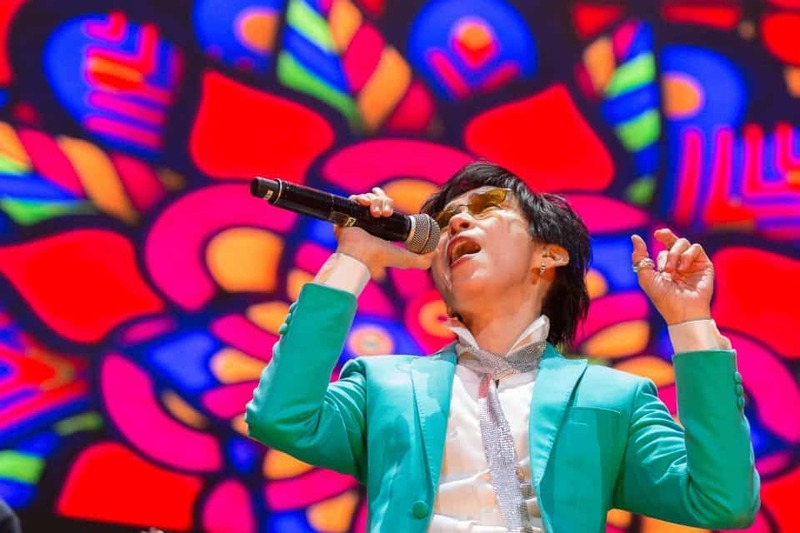 They also sang a portion of the song “My Hope” in Thai. Tor+, also hailing from Bangkok, sang and played the piano. 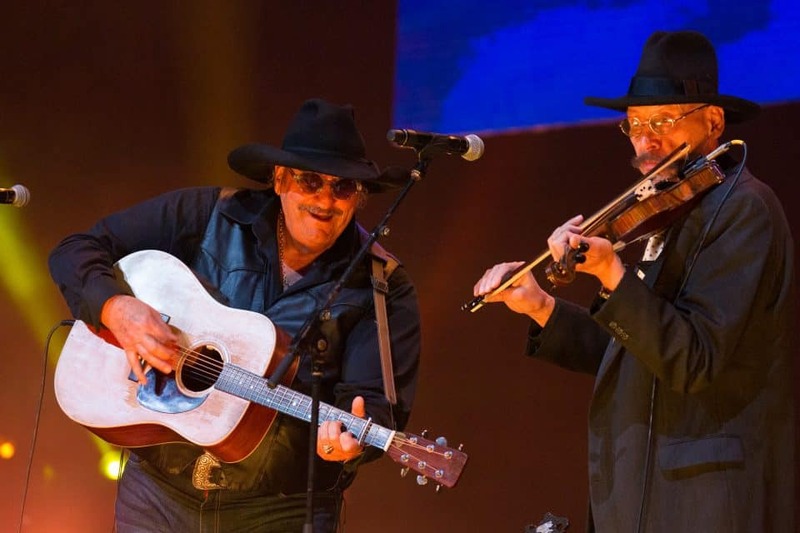 While far from their home in the United States, twins Dennis and Danny Agajanian received loud applause for their skill on the guitar and fiddle.